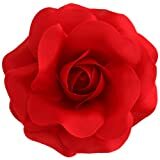 What could be wrong with giving red roses as a Valentine's Day gift? Why would you want to consider giving your lover a present with a rose theme instead of going with real roses? Most, if not all, will surely be giving their girlfriend or wife a fresh bouquet of red roses as part of their gift for Valentine's Day. This isn't uncommon at all as it's practically tradition to do this. But what could be wrong with doing this and why might you want to consider giving your significant other rose-themed presents instead of going with the real flower? First of all, there's nothing wrong with giving real roses as a gift. However, there are some other things to consider before deciding to go with real flowers. One, does your soul mate even like real flowers, much less roses? Are they into gardening? Real red roses might be beautiful and gorgeous but they won't last forever. They can't last as, no matter how new and fresh they are, they will soon fade and wither. When that happens, what use will these flowers be for their recipient? In that regard, it might be better to go with presents that will last longer and which your girlfriend or spouse can still appreciate and cherish and make use of long after the fourteenth ends. 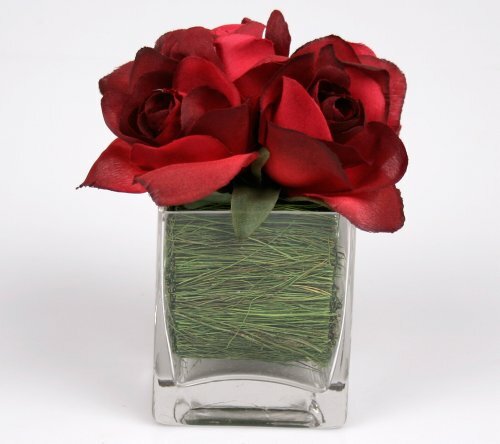 Going with rose-themed items will ensure that the present is fit to be given on the day of hearts. 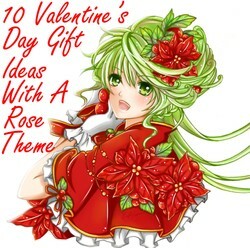 So, what are some of these interesting gift ideas with a rose theme than can be appropriate for Valentine's Day? If your lover likes using hair clips, then consider giving her a rose-themed one for Valentine's Day. There's no need to have real roses in your soul mate's hair when you can just go with rose-themed hair clips like the one featured to the right. After all, while the real crimson flowers will soon fade and whither, these hair clips will certainly last longer. Another good thing about these clips is the fact that they come in a variety of colors. So if your significant other isn't all that fond of the scarlet color, then get her a rose hair clip with the color that she likes best. From orange to purple to white to a number of other colors, there's sure to be a hair clip that comes in the color that is perfect for your girlfriend or wife. Bags are always useful and helpful items to have especially for those who travel a lot or are always on-the-go. There are even people who like collecting bags and would love to have many different kinds of them. If your significant other fits either of the aforementioned categories or if you just think that she would love to have one, then you can definitely consider giving her a bag with a rose theme like the one featured to the left. This particular handbag looks as if it's made out of several red roses. It has that classy, elegant look to it too what with its vibrant color and the shape and size of the bag itself. 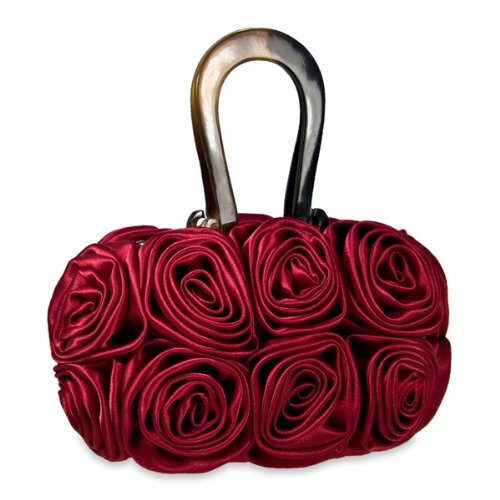 The Rosette bag even comes in a number of other colors so if your lover doesn't like red, then you can just go with these other hues like pewter, olive, peacock and black. When you take her out to dinner this Valentine's Day (are you planning to take her out to dinner? ), she can take her new rose-themed bag with her and make use of it right away. She can choose to take it with her on her other trips too such as going to work or even to a party. 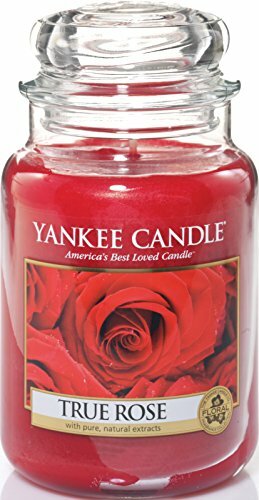 If you think that your girlfriend or wife will really appreciate the lovely smell of roses, then why don't you give her a rose-scented candle instead of going with the real flowers? These candles, like the one featured to the right, should certainly last longer (especially if one doesn't use it all up in one go) as opposed to giving a bouquet of fresh flowers, which will surely fade and wither after a short time. The scent of these candles will last more than the smell of the real thing and you can even make use of these candles as part of the romantic dinner that you'll be sharing with your lover on the fourteenth of February. After all, it is very romantic to have a candlelit dinner together. While eating good food and enjoying each other's company, you can both be delighted with the sweet scent and fragrance of roses that come from these candles. Your significant other can also make use of these candles to relax, unwind and just meditate and de-stress, which is especially perfect if she is overworked and tired and needs to take a break, even if just for a short while. Nowadays, people have all sorts of technological gadgets that range from laptops to tablets to cell phones. If your soul mate has any one of these items, then consider giving her a skin cover for one of these things. 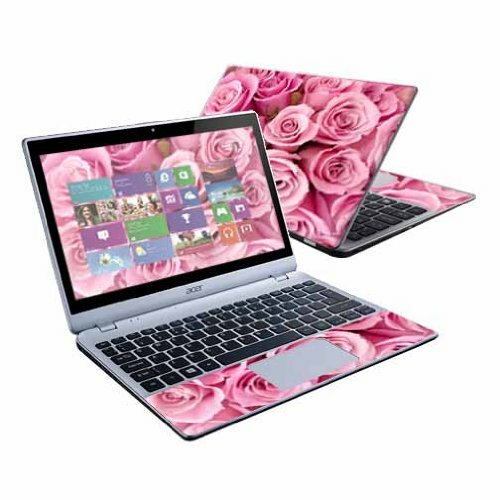 You can go with something like the pink roses laptop skin cover featured below. Even if your lover might already have a skin cover for her technological gadget, she might still appreciate getting a new one so aforementioned gadget can get a new look (this is e especially if she's had the same decoration on the item for quite a while now). The particular laptop skin cover featured below depicts a number of marvelous and vibrant-looking pink roses, which is an especially good choice for those whose girlfriends or wives prefer the aforementioned color as opposed to the usual crimson hues. The item below even includes a free wallpaper for your laptop that also depicts pink roses, just like the skin cover. Sure, your lover can also wear real roses like in her hair, but, as soon as said flower withers, it wouldn't be a good idea to keep wearing them. In contrast to that, jewelries can last much, much longer. And your girlfriend or spouse can wear these pretty much whenever they want to. After all, they can always conceal these jewelries beneath their clothes if they so choose. The beautiful rose jewelry featured to the left will especially please those who love all kinds of jewelries. 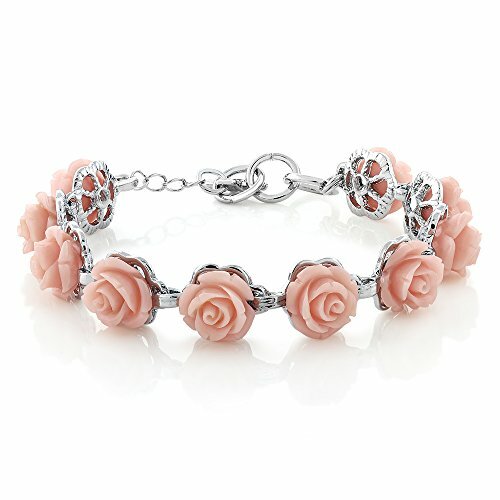 Go with whatever your soul mate might prefer, be it rose-themed bracelets or necklaces. But don't limit yourself with those two items because there are also earrings and rings with a rose theme. If you want, you can even give your significant other a full set of these jewelries. She can wear them all at once or just choose which kind she feels like wearing at the moment. Instead of having your lover smell the fragrant flowery scent of fresh roses, why don't you get them a rose perfume instead? If you get one that has a rosy scent and give it to your significant other, then it can be just as if you'd given her a bouquet of real flowers. One of the good things about choosing to get your soul mate a bottle of perfume instead of real roses is that the cologne will last longer. 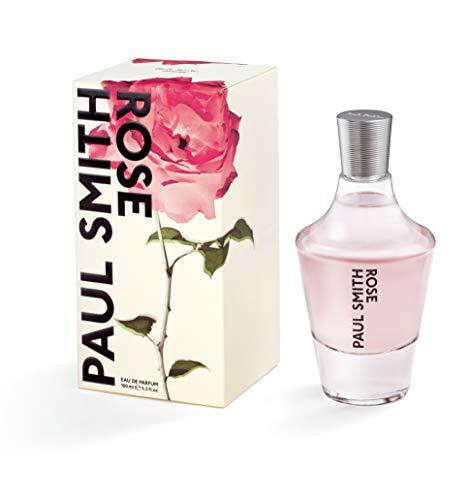 Days after the 14th of February ends, your wife or girlfriend can still make use of their rose perfume and, every time they look at said cologne bottle like the magnificent-looking one featured to the right, they can be reminded of how you gave them such a nice and wonderful Valentine's Day gift. Aside from the bouquet of fresh red roses, another staple gift for the day of hearts is no doubt the box of chocolates. It's like Valentine's Day just wouldn't be complete without these 2 things. Don't you think it would be doubly perfect if you can combine the two aforementioned things together? It would certainly be a good idea especially if the goal is to give a rose-themed gift that does not involve real roses. So, if you combine chocolates and roses together, what can you get? You can get chocolate roses such as the one featured below. Doesn't that beautiful real-looking bouquet of flowers look utterly delicious and tasty? Who would have thought that these rather natural-looking flowers are actually edible? 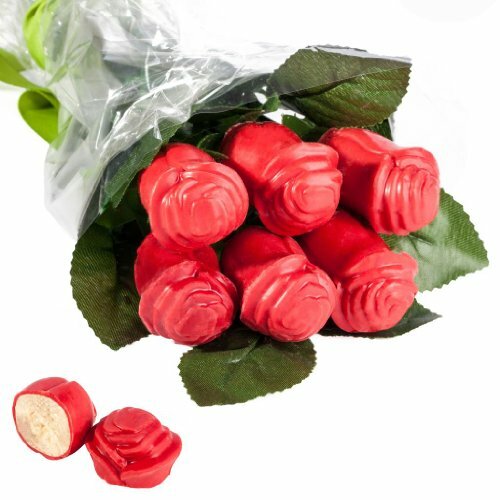 If your soul mate loves chocolates, then be sure to get her some of these chocolate roses but do tell her that these can actually be eaten. Maybe the two of you can share these roses together for an even more romantic Valentine's Day. 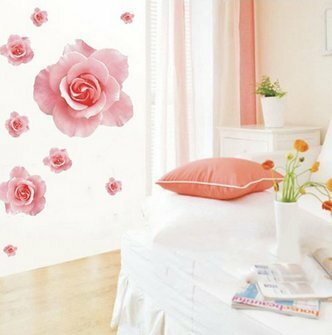 If your lover is planning to decorate or redecorate her bedroom or even her entire house, why don't you consider giving her rose-themed wallpapers or wall stickers like the one featured below? Aside from giving her the present, you can also help her with her redecorating or decorating plans. You can be the one to paste the wall sticker exactly where she wants it. Don't worry if you accidentally make a mistake and end up pasting these stickers in a place that your girlfriend or spouse doesn't like because the item featured below is actually removable. You should be able to easily remove the wall stickers and place them elsewhere. So, rather than filling her house with real roses that will soon wilt and wither, just fill it with numerous rose-themed wallpapers instead. This Valentine's Day, consider reminiscing with your significant other. Talk about the past, the experiences that you shared together, the happiness, love and joy that you felt and continue to feel for each other, and the hardships and troubles that you overcame together. Pictures should help you remember and reminisce and look back. Frame sweet or bittersweet memories that might have long been forgotten in the magnificent-looking picture frame featured below. 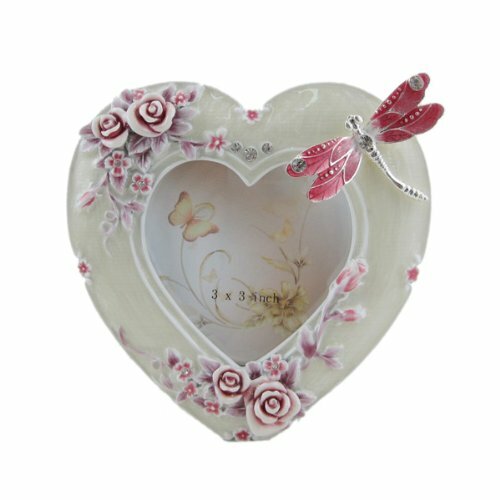 The heart shape and dragonfly and pink rose designs of this photo frame makes it perfectly apt for Valentine's Day. Be sure to frame a sweet and romantic picture of both you and your lover together. When you both look back at it later on, you can share a smile as you recall and remember the time when the picture was taken and the time when you gave her this heart-shaped, rose-themed picture frame. Dragonfly Picture Frame Heart Shaped Pink Rose 3"x3"
If you really can't resist giving your lover flowers for Valentine's Day or if you just really want her to have some red roses, then why don't you just go with fake or artificial ones? You can still give her gorgeous-looking flowers but since they're artificial, they won't fade or wither and they'll last for a long while. The flowers featured to the left can look just like real red roses with their vibrant hue. With the vases that come with these flowers, they can make for splendid and stunning decorations, which can surely help to brighten any room in your soul mate's house. Perhaps she can even keep this vase on her bedside table or somewhere in her room so that, every time she sees it, she can be reminded of you, the one who gave her this fantastic and splendid Valentine's Day present. These are just some of the many possible rose-themed items that you can choose to give to your lover for Valentine's Day instead of or in addition to the usual bouquet of fresh, real roses that you intend to present to her. All the aforementioned products have a rose theme and can be said to be as good a gift as a bunch of real red roses but, what makes these things different is how they will surely last longer than real flowers, which will fade, wilt and whither sooner or later. What do you think of these possible gift ideas for the day of hearts? Do you think your girlfriend or wife will like any one of these items? Will you be giving your lover a rose-themed gift for Valentine's Day? @VioletteRose - thanks. I thought the rose hair clip really looked like a real red rose unless you look at the back of it, which would show that it wasn't real. This goes to show that even the fake or artificial flowers or the other rose-themed gifts can also look as good or as real as a fresh bouquet of roses. They all look so pretty, the hair clip looks beautiful! What makes creating your own Valentine's Day gift so special & meaningful to your lover? What are some of the possible presents that you can do yourself to give to your soul mate?